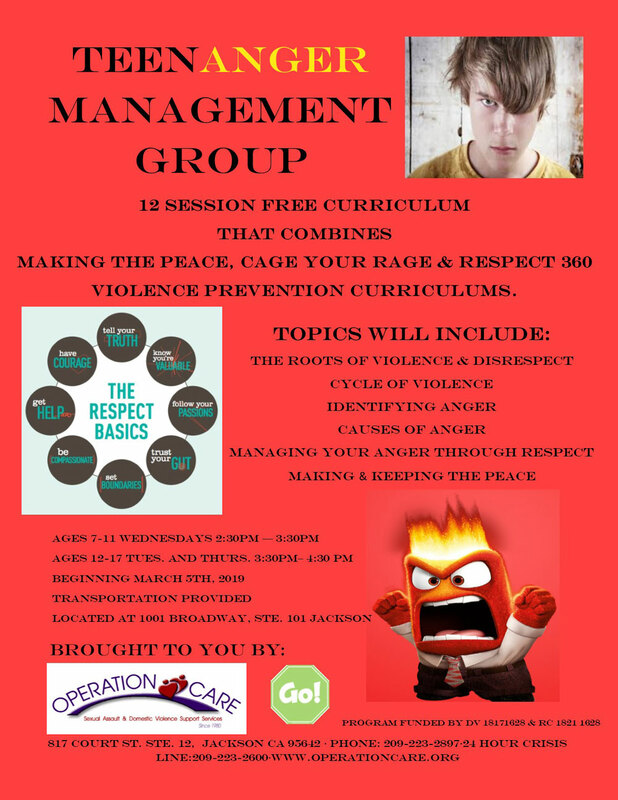 Teen Anger Management Group is a 12-session FREE violence prevention workshop that helps young people deal with the deeper, more sensitive issues around violence. This workshop includes a step-by-step process of looking at many causes of violence among youth, and helps young people manage their anger and develop positive communication skills. Transportation available. Call 209-223-2897 for more information.